You would have often heard VCs and experienced entrepreneurs say “Ideas don’t mean anything. 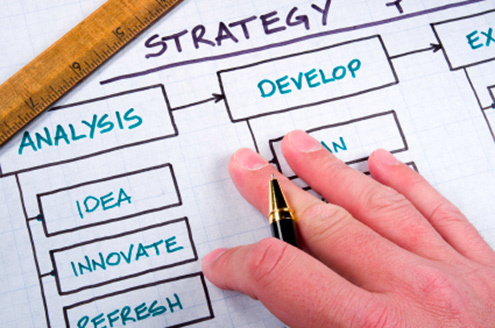 It is the execution of that plan which makes a good business case.”. Hence, often VCs will be willing to invest in a simple concept with high-quality teams with great implementation plan, rather than weak teams even if they have a great plan. Good execution and operations management is a lot about making sure that the many moving parts of the business are in sync with each other. Most entrepreneurs underestimate the competencies and skill sets required for a venture to be implemented. They detail out the product/concept/service but do not spend adequate time in detailing out the operations plan. It is critical for the entrepreneurs, or the people planning the operations for the startup, identify, discuss and debate every single aspect that will need to be planned for good implementation. For example: A startup planning a chain of coffee shops across the country does not need just great coffee and snacks making skills. In fact, that may be the least of the worries in creating a great coffee shops chain.Creating a coffee shops chain will require the following competencies. Admittedly, startups are unlikely to have the full team to manage operations efficiently. However, planning does not require resources…. Investors invest, based on your PLANS for the future, whilst understanding that your current mode of operating is only due to resource constraints. Especially for startups with a B2C concept, which could have rapid growth, it is important to plan for scale BEFORE the venture is ready for scale. It is almost always impossible to hack together the resources, processes, infrastructure and other elements to scale up quickly… these have to be built well in advance in most cases to be able to scale up smoothly. Previous Previous post: What do you prove in pilot phase?